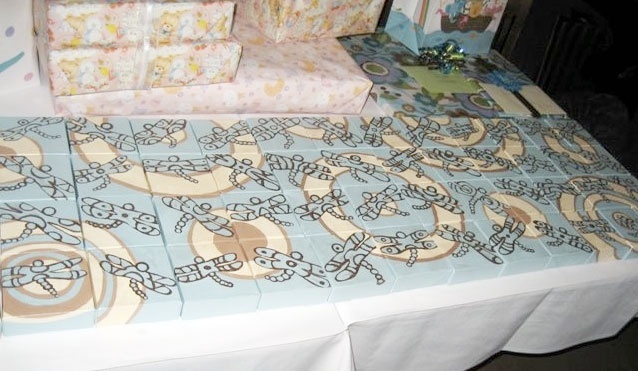 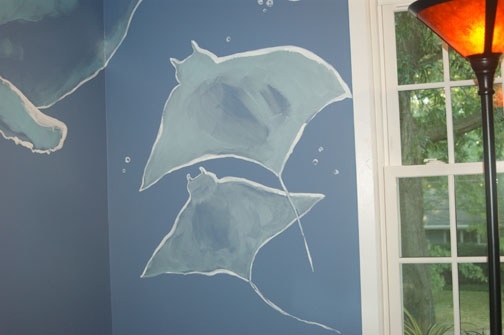 These are all paintings for kids. . .the first is a nursery room painting and the accompanying custom painted favors for a baby shower. 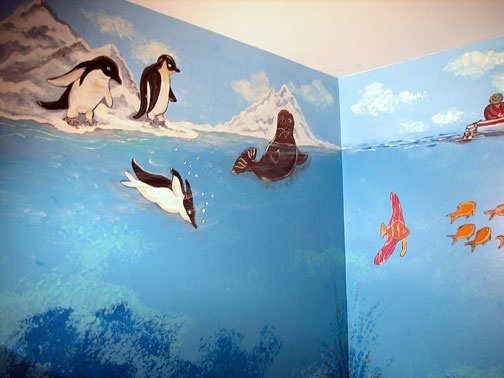 The other two are different underwater themed murals. 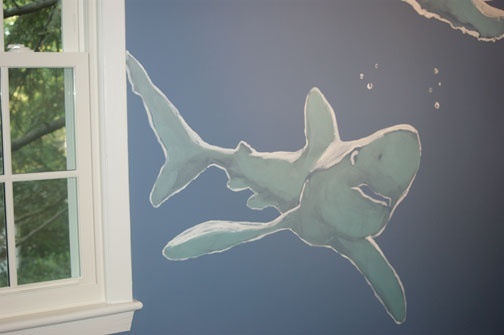 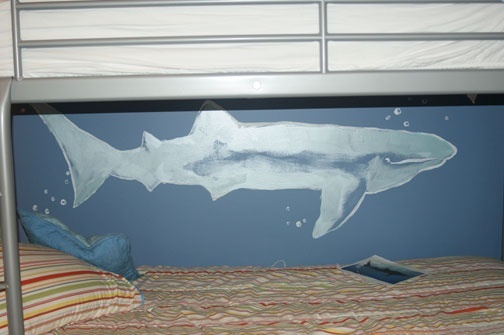 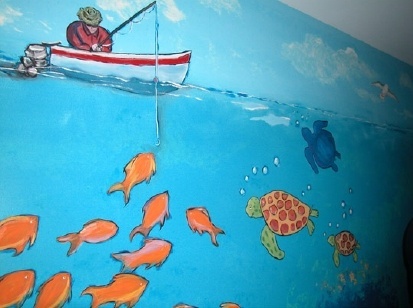 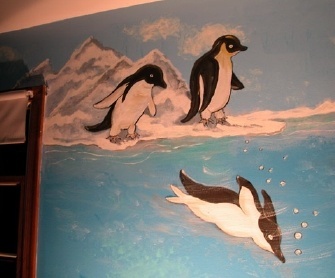 The first, more colorful mural fills an entire room starting with cold weather sea life (penguins) and wraps around the room from floor to ceiling. 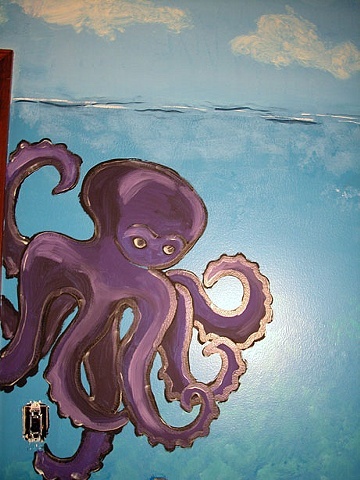 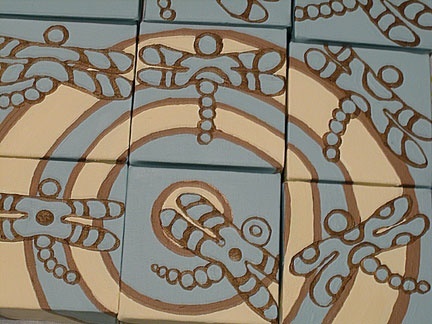 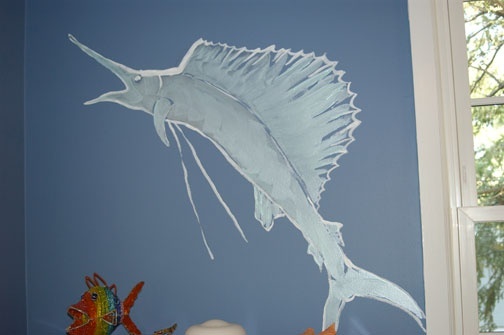 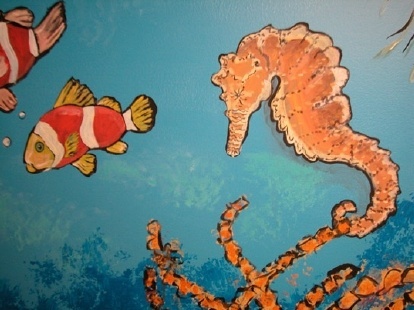 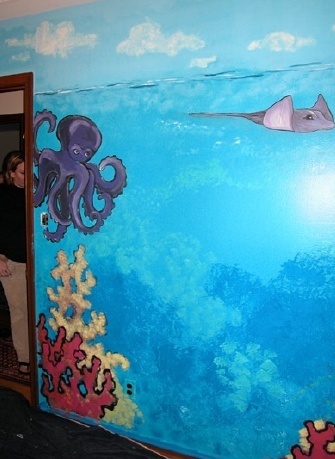 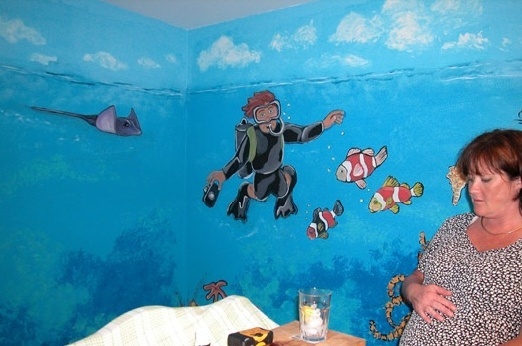 The second mural is a flat wall color with underwater sea creatures painted in simple metallic colors. 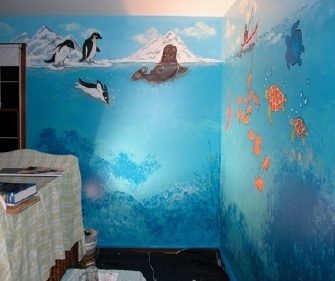 If you are interested in any type of mural, please contact me. 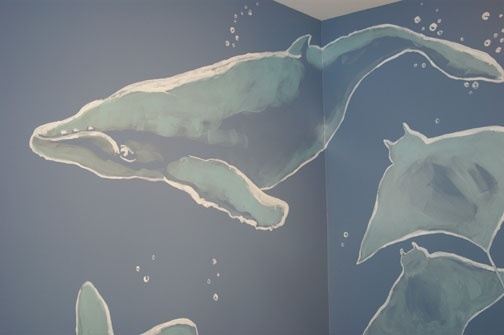 Prices begin around $1,000. 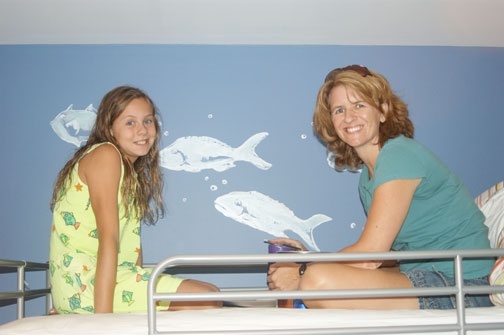 I live just outside DC in Alexandria VA and will come to your home in Maryland, DC, or VA.